Make sure you've read Parts 1 & 2 and then you'll be ready for the fun stuff! In Part 1 and Part 2 we went through your camera settings, how to use them, getting out and about and experimenting and getting a bit creative and aware of everything in the scene. If you haven’t read them yet do that first! I have some bad news for you: Your memory card is not a long term storage device! They are not designed for that and they will let you down so get your photos off the memory cards and onto your computer where you can store them and create backups like any other files. Paying for cloud storage is cheaper than paying for extra memory cards these days - in fact it’s free in a lot of cases and a great backup solution. Start by choosing how you’d best like to file your images - folders by month and year, or by event or location…or both…and like all computer filing…be disciplined with your system so you can always find things. I know I know….you don’t want to go there….BUT YOU HAVE TO….so find that little monster in your head telling you its too hard and lock him in the naughty room and listen up! Everything you have achieved to this point will be wasted if you don’t start thinking differently about editing. It’s like baking the cake but not putting any icing on! The cake is alright on it’s own but it is totally missing the wow factor! Editing is actually fun and can be an amazing creative experience! 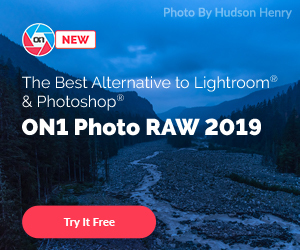 Photo Editing Apps: Most Pro photographers will use and recommend using Adobe Lightroom for photo editing but personally I think it is a bit technical for a lot of people and unless you are really keen, it will take a long time to master. I personally use and recommend ON1 Photo RAW for a plethora of reasons I wont go into here, but give it a go - they have a free trial! I guarantee it will make your editing experience really fun and underneath the easy to use fun stuff it has all the pro level tools you’ll ever need if and when you are ready to advance to that level. As an alternative you may have editing software that came with your camera, and you will have standard apps on your computer as well. For Mac that will be the Photos or iPhoto App, and PCs have a variety of installed Photo Apps depending on the version of operating system you have. ON1 Photo RAW also makes it easy to manage, browse, print, and share your images as well. This topic could be a whole course on its own so won’t go into it here…My goal here is to get you doing some basic tweaks to your images to make them ‘pop’ so…download the free trial of On1 Photo RAW, or any other app you prefer and try out a few things, you’ll find they all have the same basic functions. Sharpening - You won’t be able to rescue an out-of-focus or blurry image, but a little tweak here on any image makes a difference. Color Saturation & Vibrance - On dull days colour is often flatter in the image that how we thought we saw it in real life…try vibrance first to boost the colour back up to the level you saw it. Highlights and Shadows - Pull some extra details out of the dark and light areas of the image…works better if the image is a RAW file but you’ll be surprised sometimes how much you can rescue in a JPG too! Contrast - Especially if you have tweaked the highlights and shadows you’ll notice the image has become ‘flat’ so gently edge up the contrast a bit. White Balance - A warm or cool overtone to the image may look nice….or it may not….you can correct it here…or create it here…I often like to warm a photo up a bit…it’s just a personal preference. Retouching & Healing - those poles sticking out of peoples heads, clutter and stuff you didn’t see at the time you took the photo…you can put the image back to how you thought you saw it…without the distractions. Noise Reduction - Usually a stand alone App will do the job way better than the option in your standard editor if you have it. If you have used a high ISO, taken photos in very low light, or done a lot of editing, you’ll find your images look very grainy or ‘noisy’ - either all over or specifically in the dark areas. NOW! ...once you’ve had a go at editing your images and you’ve probably been dwelling over them a little too much as you experiment with different adjustments…I recommend you leave it alone and come back later in a day or so and inspect your edited images with fresh eyes…why?…you’ll be surprised how different your finished photos look at first glance which is not possible when you have been honing them for a period of time. I am constantly surprised at the end result of my editing when I look back a day later…sometimes it’s good, sometimes bad! Usually there is no point in creating beautiful images and then doing nothing with them…yes I keep a lot of mine in private albums but the best pics deserve to be shared. The low quality and high cost of printing your own images is not the best option these days although most colour printers will do quite a good job of printing a photo if you have good quality paper. But for the cost of the ink and good paper, a photographic print is going to be cheaper in the long run and the quality is still far better. Sharing is another thing altogether…If you are not wanting your images to be possibly used by other people (you know how easy it is to drag and drop an image off the internet onto your computer) then think about uploading smaller versions - say 400px wide - that aren’t good for anything much other than basic viewing online. If you upload large scale images to Facebook and Instagram, they will reduce the size of your images to their requirements…no options there…but you could still upload smaller sizes than they suggest if you are worried about people having half good quality copies of your images. And if you are proud to share you work with the world - brand yourself! Watermarking is a great idea - it’s your choice how you do this but I prefer subtle bottom edge watermarking myself…to meit’sfree marketing. I don’t think anyone appreciates a watermark across the centre of an image though, you’re better off not sharing it in the first place (just my opinion). Know your Camera - Get to know the various options your camera has and where the exposure modes, aperture & shutter speed controls and ISO controls are on your camera. Know the Right Settings - Understand what the 3 primary settings do and how to use them together (aperture, shutter speed, ISO). Thinking Outside the Square - Get those creative juices going with composition and the rule of thirds, and google for further inspiration. What to Avoid - Keep an eye on everything in the scene, details and objects in the background as well as the different levels of light and dark. Photo Management - Get photos off the memory card and into appropriate folders on your computer and then backed up! Lovely. Photo Editing - Choose an editing program and start experimenting with the basic adjustments. Sharing & Printing - A few printing ideas and tips on sharing your beautiful images online and offline. This 3 part series is an introduction to the content in the Photography Basics Course so do check it out. And of course - keep in the loop with all sorts of stuff on Facebook! So what do you think? Do yo have a clearer picture on the steps you need to take? Do you have any questions? Just comment below if you want to chat about anything. …what next? The Photography Basics Course which goes through all of this in finer detail, you’ll fly though it because you’ve had a sample of every chapter in these 3 Articles!